No matter your experience level or budget, there is a great ski goggle waiting to be found. Interchangeable lenses dominate the high end of the market with systems that are getting quicker and easier by the year. In particular, Anon upped their game with the magnetic system on the M3 and new M4, although Dragon's Swiftlock isn't far behind. Smith continues to innovate with its ChromaPop lenses, and Oakley and Giro are right in the mix with their Prizm and Vivid designs. 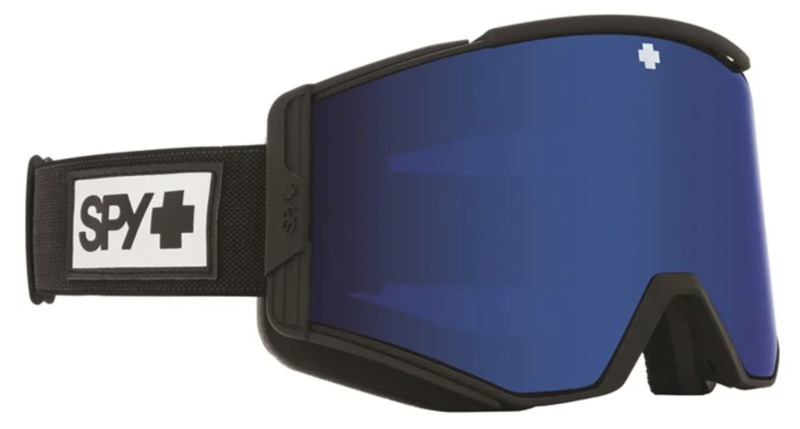 And intermediate, beginning, or casual skiers can still pick up a great goggle for $100 or less. Below are the best ski goggles for 2019. For more background, see our goggle comparison table and buying advice below the picks. To complete your kit, check out our articles on the best ski helmets and ski gloves. What we like: ChromaPop is the real deal, sizing and fit are excellent. What we don’t: Lens change could be faster. If Smith dominates one area, it’s snow goggles. There are a number of models to choose from at varying price points, but the I/O is our favorite. It was the original interchangeable-lens system and is still at the top with superb optics, two lenses included, an extremely comfortable fit, great ventilation, and premium build quality. 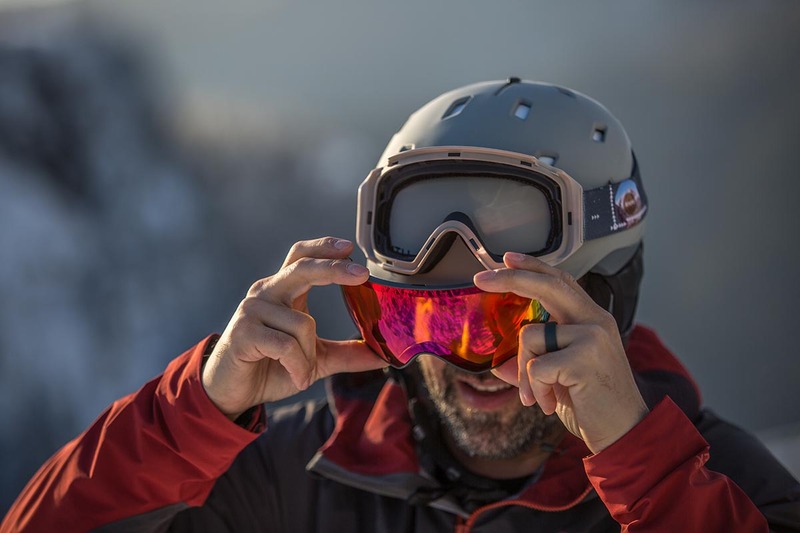 Its interchange system is no longer the fastest to use—it has been surpassed by the magnetic designs from Anon and Giro as well as Smith's all-new Mag below—but the I/O retains its title as the best all-around ski goggle with its excellent ChromaPop lenses. Popular on Smith’s sunglasses, ChromaPop offers HD-like color quality that translates to the slopes with fantastic clarity in a wide range of conditions (depending on the lens). What really stands out is the lens's ability to highlight small details—bumps, crud, or debris—in low light. For hard chargers or those that hit the slopes with no regard to the weather report, this adaptability is a big upside. Made in three different frame sizes, almost everyone fits an I/O: The I/O S is for small faces, the I/O X has the largest fit, and the standard I/O fits my medium-sized face perfectly. What we like: The fastest lens change on the market; functional facemask. What we don’t: Expensive; not everyone needs the quick-change system. Smith may have pioneered the interchangeable-lens system but Anon is mastering it. Much like its predecessor, the Anon M2, the M3’s magnetic lens swapping is best in class. It’s as easy as giving a slight twist to the frame to expose the lens and pulling it away from your face. Anon honed things in even further with a thin frame (the M2 is partially frameless) that protects the lens along with two additional magnets to better hold everything in place. We still give the slight optical edge to ChromaPop and Anon’s design work does have a pretty significant impact on price, but Anon has the top quick-change system on the market. The MFI in the M3’s name is for the included magnetic clip-in facemask, which combines with the goggle to create a blocker system against driving wind and snow without fogging the lens. Our one nitpick with the facemask is that it’s so thin that it lacks a strong structure, so if you’re breathing heavily while hiking the material can be sucked into your mouth. But all of the other key components are there with the M3 MFI, including triple-layer foam and a variety of lens options to cover you from bright to cloudy. Anon added the M4 MFI this season, which has an innovative frame design that lets you swap between cylindrical and toric lenses. However, this has pretty limited appeal because it requires purchasing an additional lens, and the M4 already is among the priciest goggles at $300. What we like: Good all-around performance and a great value. What we don’t: Step down in optics from top picks; one lens included. Just about everything involved with skiing is expensive—from the equipment to lift tickets—so we love finding a good value. At half the price or less of our top two picks, the Giro Blok is just that. This goggle features a medium/large frame with impressive edge-to-edge visibility that minimizes the tunnel effect you find on many cheap designs, and even includes premium touches like triple foam cushioning that’s nearly as plush as the options above. The Blok also has a refreshingly classic look with a full frame encompassing the low-profile cylindrical lens. What are you giving up at the Blok’s budget-friendly price? To start, you only get one lens, which means that you can’t swap between tints based on the weather (extra lenses can be purchased separately, however). And if you do change out the lenses, the process feels old school and can be a pain to get right without leaving fingerprints all over the lens. But the Blok is priced right, has pretty impressive optics, and fits well with a range of helmets—that makes it a winner in our book. If you like the Blok’s look but need a smaller frame size, check out Giro’s Semi goggle. What we like: Massive field of view, quality optics. What we don’t: Only comes with one lens, old lens change system. From an optical perspective, the Oakley Flight Deck Prizm stands out. This rimless goggle has one of the largest fields of view on the market and flat out ridiculous peripheral vision. Compared with the Smith I/O above, you see more of the mountain in all directions—up, down, and side-to-side. Combine this with Oakley’s Prizm technology, which is neck and neck with Smith’s ChromaPop, and this is one impressive ski goggle. The most notable downside is that the Flight Deck only comes with one lens, which is disappointing considering its price (Prizm Flight Deck Prizm lenses start at $75). And should you invest in a second lens, the quick-change isn’t exactly quick by most people’s standards and less intuitive than the I/O (we’ll admit to turning to YouTube for a tutorial). But this doesn’t detract from the awesome visibility and what we consider to be the best overall large-frame goggle on the market. And despite the size, we found that the Flight Deck still fits most helmets well, including top Smith, Giro, and POC helmets that we tried. What we like: I/O looks with a secure lens swap system. What we don’t: Not as easy to change out as the M3 above. Smith has sat quietly on the sidelines while Anon, Giro, and others have released magnetic lens systems, but that finally changed for 2019. The I/O Mag takes the place of the discontinued I/O 7, and this new design greatly improves on Smith’s dated lens interchange system. With a push of a lever on either side of the frame, the goggle releases the lens—it’s as simple as that. Additionally, magnets dotting the inside of the frame make it easy to pop the new lens into place. Importantly for Smith devotees, the Mag retains the classic I/O look with a frameless and smooth spherical shape, ChromaPop color options, and quick-release clip on the back of the strap. How does the I/O Mag’s interchange system compare with Anon’s popular M3 above? Both use magnets to keep the lenses in place, but the I/O has two additional locks on either side of the frame. The upside is that it’s more secure and should keep the lens from popping out if you take a really hard fall, but it does make it a little more difficult to remove while wearing gloves. Both are excellent designs, but the Anon gets the slight edge here in terms of usability. It’s worth noting that for this upcoming winter (2019-2020), Smith will be expanding the I/O Mag line to include “XL” and “S” models for large and small faces, respectively. What we like: Retro looks and a good all-around value. What we don’t: Decent optics but not a standout. Retro-inspired cylindrical lens goggles are growing in popularity, and Spy’s Ace is a quality mid-range option. For $70 less than the Smith I/O above, you get a very similar feature set: two lenses included, a triple-layer foam design, and a medium fit. Further, the tall and relatively low-profile shape pairs well with most ski helmets and doesn’t have the tunnel-like feel that you get with the pricier Dragon NFX2 below. All told, we think Spy has hit a nice balance of performance and value that should appeal to a wide range of resort skiers. What are the downsides of the Spy Ace goggles? Their proprietary Happy Lens design is a pretty strong performer, but the flat lens shape is not as versatile or sharp in low-light situations compared with the high-end Prizm and ChromaPop options above. Additionally, the goggle’s interchange system can be temperamental and it’s easy to leave fingerprint smudges on the lens while making the swap. But these are easy nitpicks to overlook given the Ace’s competitive $130 price. 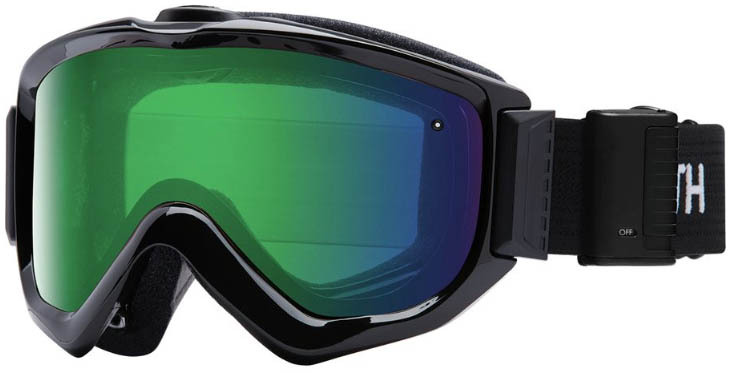 For a similar design but with spherical lenses, check out Spy’s $140 Marshall goggles. What we like: Oakley quality and big field of vision. What we don’t: Pricier than the competition. Along with the Smith I/O, Oakley’s Airbrake is a long-time favorite. Updated to the larger Airbrake XL, the design trades the wild Stormtrooper look of the original for a more traditional, large spherical lens and low-key frame. As with the Flight Deck above, you get a great selection of Prizm lenses, but the XL comes with a second lens for changing conditions (and a higher price). 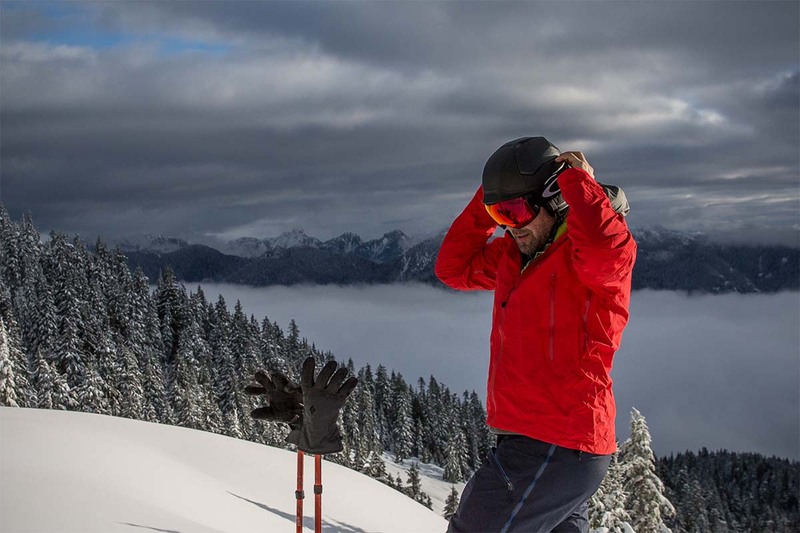 Through a season of skiing in the Pacific Northwest, we've found the Airbrake is a strong performer in terms of fog resistance and all-day comfort with the soft-touch interior. What we like: Good field of vision. What we don’t: One lens and average ventilation. With sharp Zeiss lenses and a classic, semi-framed look, the Cornea gives a nod to the past while using thoroughly modern technology. POC has done a nice job with this goggle, which has a sturdy feel and hits a competitive $160 price point. It has excellent field of vision—even edging the Smith I/O at the sides—and we’ve found its triple-layer foam is comparable in comfort to the more expensive goggles above from Smith and Oakley. Where the POC Cornea falls short for performance-oriented skiers or snowboarders is ventilation. With fewer openings around the goggle, not enough air moves through to dissipate fog quickly if you’re hiking or sweating on the downhill. Its other challenge is competition in this price range: the Cornea is within arms reach of the $130 Spy Ace, which includes 2 lenses to better adapt to changing conditions. But that’s not to take anything away from the Cornea: its strong lineup of Zeiss lenses, variety of frame colors, and good looks are plenty to earn a spot on our list as a mid-range resort option. What we like: Includes two lenses at a great price. What we don’t: Cheap construction overall. Giro’s Blok and Axis will get most of the press, but their Roam goggle packs a nice surprise: two lenses for $60. For reference, the next cheapest goggle on this list to include a second lens is the $120 Anon Relapse. 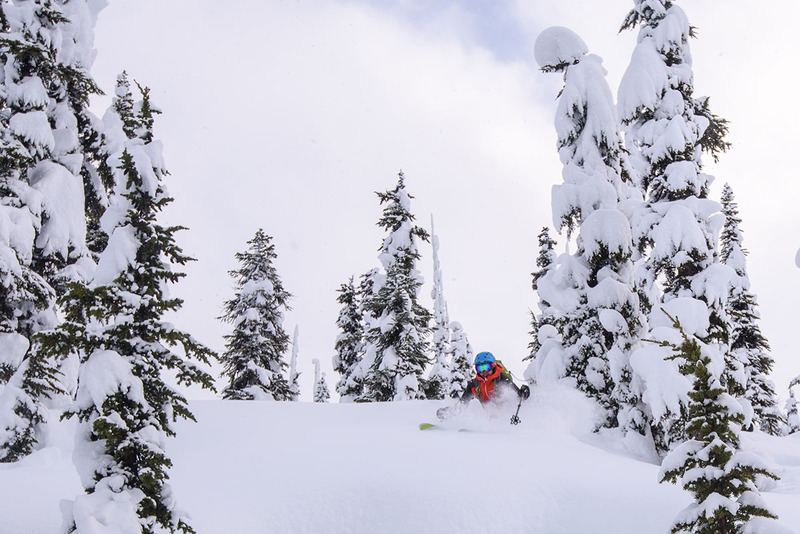 If you ski in areas with conditions that demand a second lens or like the flexibility and want to stay within a strict budget, the Roam is as good as it gets. 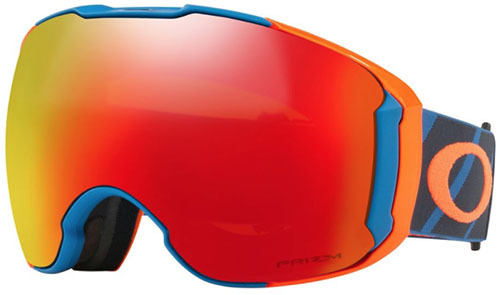 As expected at this price, the Roam is a lower quality snow goggle. The foam is a simple two-layer design and the optics fall well short of the Zeiss-equipped Giro options above. Further, you don’t have as wide of a selection of lens types, although each model comes with one for bright or mixed conditions and a low light back-up. In addition, the change-out process is significantly slower than more expensive models above, but it’s something that can be done back at the lodge in a couple of minutes. Skiers that get out a lot may want to upgrade to a nicer goggle, but we like that Giro has the Roam in their lineup and hope it’s a sign of things to come in the sub-$100 category. What we like: Superb interchange system, large fit. What we don’t: Surprisingly limited field of vision. Dragon’s X2 is among the most expensive goggles to make our list but absolutely packed with features. In a nice upgrade from the Oakley Flight Deck above, you get two lenses and a hard-sided case—which easily accounts for the difference in cost—and a superior lens changing system. In fact, outside of the magnetic Anon’s above, this is one of our favorite lens interchange designs. Similar to the Oakley Switchlock, it works by pushing a lever on each side of the frame up to release (just be sure to have your hands in front of you when you open the levers or the lens will just pop out). Re-installing the lens is just as easy and can be accomplished without removing the goggles from your face. Why aren’t the Dragon X2s ranked higher? The large size is similar to the Flight Deck, but the goggle has a surprising amount of tunnel vision. The thick foam and substantial nose cushioning limit the field of view while looking down, even more so than smaller goggles like the Giro Axis. The plastic frame also feels cheaper than the price tag, but the X2’s still are fairly durable with a thin frame protecting the edges of the lenses. What we like: Huge visibility and ChromaPop lenses. What we don’t: Overkill in terms of size for most skiers/snowboarders. Smith’s Squad was an instant hit, and they’ve expanded the line (literally) with the Squad XL. To start, this is a massive goggle—comparable to the Oakley Flight Deck above in lens height. At the same time, it’s surprisingly low profile because of its budget-friendly cylindrical lens shape and simple feature set. The net result is a massive field of vision and pretty darn good clarity thanks to the two ChromaPop lenses. Many large goggles work well with a variety of head sizes, but we think the Squad XL’s shape is more limiting. The super tall dimensions and flat profile give it an odd look on medium-size faces (we didn’t, however, have issues fitting the goggle under most helmets). And the build quality also fell short of what we’re used to from the I/O line—there was a noticeable gap between the lens and frame in one corner. That could be chalked up to a one-off issue, however, and the Squad XL does get you two massive lenses at a very good price of $130. What we like: Complete feature set at a great price. What we don’t: Prone to fogging up. New for last year, Giro’s Axis takes direct aim at the I/O series. Like the legendary line from Smith, you get a medium fit, two high quality lenses, plush three-layer foam, and great all-around visibility. The Axis also features Giro’s updated quick-change system, which works as follows: twist the goggle slightly, grab the exposed section of the lens, and pop the four pins out of each corner. Removing the lens and reinstalling it requires a little force, and we don’t love that you have to press directly on the lens to push the pins in place, but it’s certainly faster to swap than the standard I/O. To sweeten the deal, the Axis undercuts the Smith goggle by $20. Unfortunately, the Axis was a letdown in terms of fog prevention. It’s hard to pinpoint the culprit, but the reinforced vents along the top and bottom of the frame seem to limit airflow more than the open design that you get with the I/O. Further, we found the Zeiss lenses to be a bit duller overall than ChromaPop, although we certainly appreciate the natural colors and feel. All in all, if Giro is able to fix the fogging issues, the Axis would make a big jump up our list. What we like: Effectively keeps fogging to a minimum. What we don’t: Middling performance otherwise. Anti-fogging technology has improved over the years but still isn’t a perfect science. And for those with persistent fogging issues—including eyeglass wearers—Smith’s Knowledge Turbo Fan is a long-time resort favorite. A small battery along the head strap powers the fan, and its two speeds do a good job pushing away any stagnant or moist air. The Turbo Fan's noise isn’t invasive and it's fairly easy to forget that it’s running. In paying for the Knowledge Turbo Fan's anti-fogging technology, you do compromise on performance elsewhere. The cylindrical lenses aren’t as precise as what you typically get at this price, and there is only a very limited selection available of ChromaPop lenses. Further, the fan can be difficult to operate with gloves on and does add some weight and bulk. For the right person, however, those are small prices to pay, and the Knowledge Turbo Fan does it all at a reasonable $160. Smith also offers the I/OX Elite Turbo Fan, which incorporates premium touches like two spherical ChromaPop lenses, a wider field of vision, and clean, modern styling. But at $300, it’s nearly twice the cost of the Knowledge without delivering a notable upgrade in fog prevention. What we like: Toned down size but not quality from the Flight Deck. What we don’t: The Fall Line’s main competition include two lenses. Oakley’s Fall Line goggle packs their premium lens technology into a trimmed down shape. 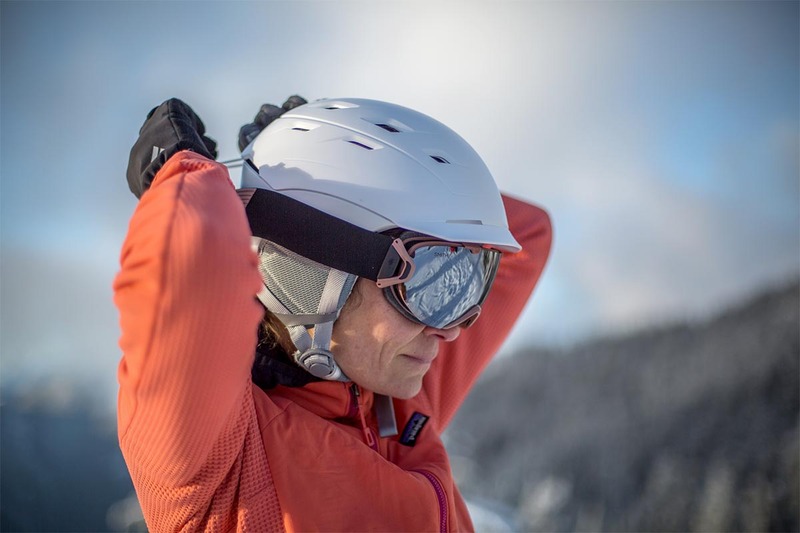 With similar coverage to the Smith I/O and Giro Axis above, the goggle fits easily under most ski helmets but still makes a pretty big statement with its bold frameless style. 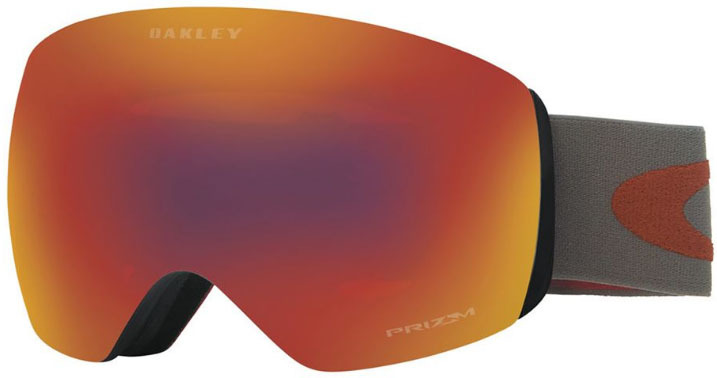 As expected from Oakley, the goggle is very well made and the Prizm lenses are strong all-around performers. The Fall Line does buck the quick-change trend and sticks to their somewhat clunky Ridgelock lens swapping system, but we do appreciate that it provides a very solid seal with no room for wind to sneak through. We like the Fall Line, and the medium-size fit is a nice way to get a toned-down version of the Flight Deck above, but we still prefer the I/O line and Axis at this price point. Most importantly, the Fall Line only comes with a single lens while nearly every other competitor includes two. Moreover, the padding and thick frame push the goggle a little too far off our faces, making it one of the few models we’ve tried lately where you can see the entire outline of the frame while wearing it. If you’re an Oakley devotee and like the smaller design, the Fall Line certainly won’t be a letdown, but we think there are better options out there. What we like: Quick changing lenses at a good price. What we don’t: Cheaper plastics, inferior optics. Take the fantastic lens interchange technology of the Dragon X2 above, add it to the mid-level NFX goggles, and you get the NFX2. Just as with the X2, it’s easy to swap between lenses without taking off the goggle, and the NFX2 comes with a handy second lens for use on low visibility days. It all adds up really well on paper. In testing the NFX2, however, we found ourselves torn. The interchange system is without a doubt a great feature and the fleece backer makes the goggle quite comfortable, but it’s hard to justify the rest of the package at $180. The taller profile and cylindrical lens give it a touch of tunnel vision, which isn’t ideal for hard chargers, and the plastics have a lower quality feel. If the ability to swap lenses is a top priority and you want to keep it under $200, the NFX2 is a good choice. But taking the factors mentioned above into consideration, we’d be inclined to spend the extra cash to get the Dragon X2 or magnetic Anon M3 or M2. 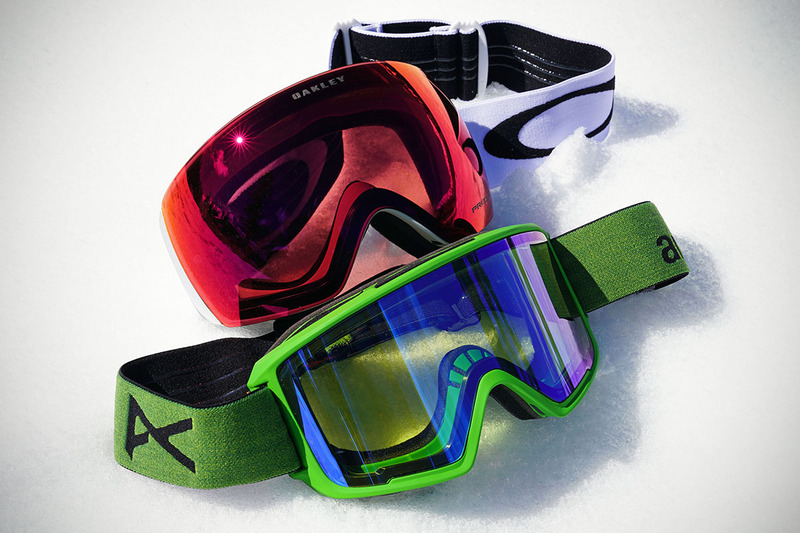 What we like: A good goggle with interchangeable lenses at a good price. What we don’t: Nothing really stands out. When you get to around the $100 price range, most goggles include a modestly-sized, cheaper cylindrical lens. This results in a smaller field of view and some occasional distortion around the edges. Premium ChromaPop, Prizm, or Vivid lenses are great for skiers that tackle the hill at speed or are at out in all conditions, but basic cylindrical goggles like the Anon Relapse will do just fine for beginner to intermediate skiers and those on a budget. Notably, the Relapse has interchangeable lenses with a number of packages to choose from and is over-the-glasses compatible (although fogging can be an issue). If you're not wearing glasses, ventilation is solidly middle of the pack, and you get three-layer foam around the face for comfort. It's not a standout, but we like the simple yet stylish design, bang for your buck, and reasonable size that doesn’t protrude as much as some other brands. Anon also offers the Relapse MFI for an additional $40, which comes with a facemask that attaches to the bottom of the frame for additional protection in nasty weather. What we like: A great starter goggle. What we don't: Entry-level optics and durability. We all don’t need $200 ski goggles, or even $100 ski goggles for that matter, and most of us remember getting started with something cheap. For beginners and those who tend to lose or break goggles faster than they wear out, the Smith Project is a favorite budget option. A flexible urethane frame conforms well to just about any face and the Project is fully helmet compatible. The dual, ventilated lens will keep fog clear most of the time and is mirrored with a tint that is good for most conditions. What are the downsides of the Project? If you plan on skiing all day every day, the single-layer foam will wear out faster than the options above, although it’s much softer than the truly entry-level Bolle Mojo below. And the Project isn't as good a value as the Giro Roam above, which comes with two lenses (the Project only includes one). 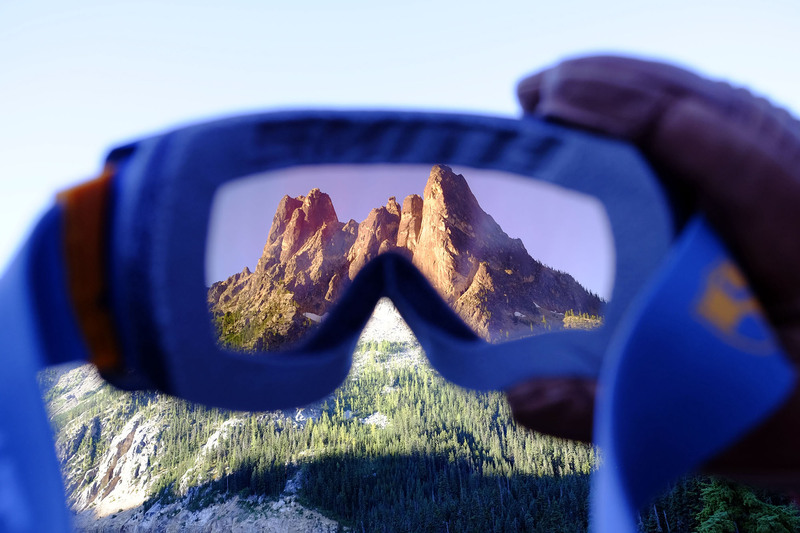 For weekend warriors who need a pair of inexpensive goggles for occasional trips to the mountain, however, the Smith Project is a solid choice. What we don’t: Everything about them is cheap. 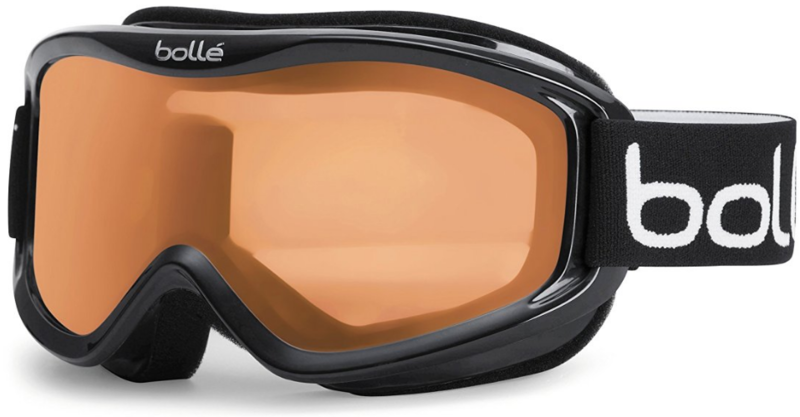 Bolle’s Mojo is the kind of cheapo goggle that’s perfect for a first-time skier or to keep in your bag as a backup. 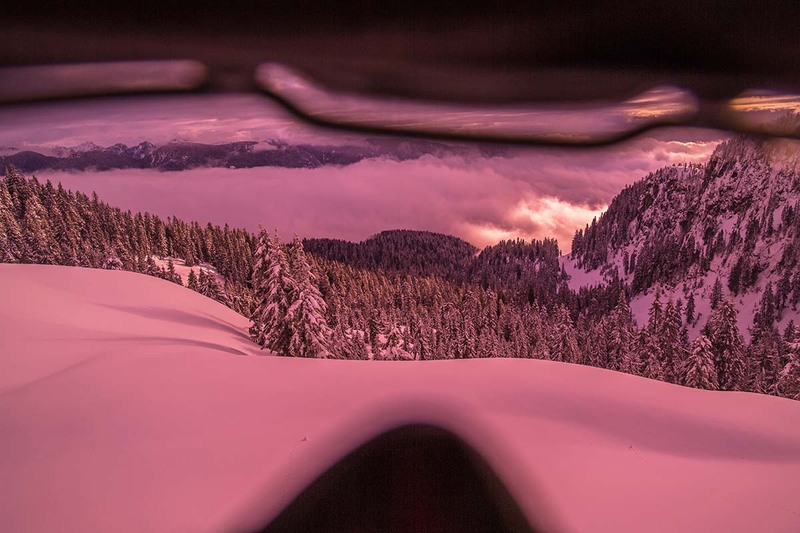 We should know—one of our testers hit the ski shop for the Mojo at Washington’s Crystal Mountain after accidentally leaving his regular goggles at home. These goggles are very basic with a thick frame, small field of vision, and dull visibility. They aren’t all that comfortable either, and the straps have to stretch to fit over a bulky helmet. But we’re talking about a $25 goggle here, and all of those complaints about the Mojo are to be expected. 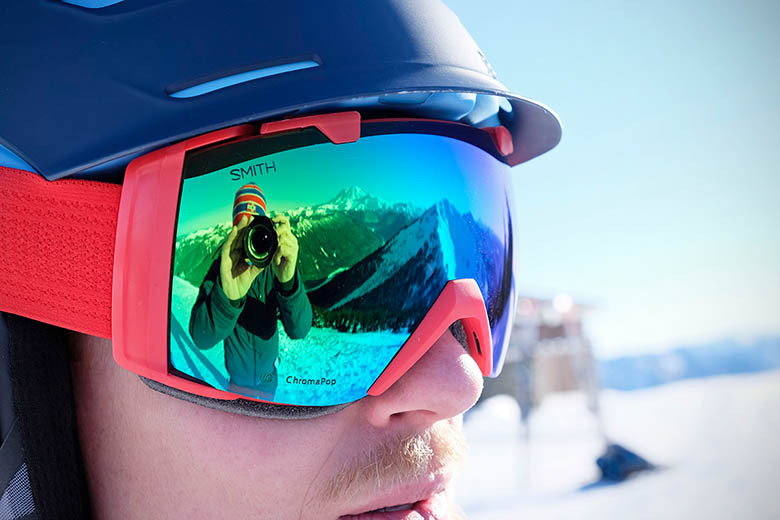 For someone that skis frequently but still is on a tight budget, we recommend springing for the slightly more expensive Smith Project above—they are more comfortable and have a much better lens. If you’re eyeing the Mojo, however, we have one piece of advice: buy them ahead of time to avoid the markup at the resort. Most entry-level ski goggles are cylindrical, meaning they curve across your face horizontally but are flat vertically. This shape is easier and cheaper to manufacture but can result in less peripheral vision, minor distortion at the top and bottom of the lens, and more glare. The primary reason to opt for a cylindrical lens is cost, but some just prefer the look, which avoids the bug-eye style on many modern spherical models. Notably, there has been a shift in the market over the past couple years, with a number of mid-range and premium goggles released with cylindrical lenses. Advances in lens technology (covered below) are decreasing the negative impacts of the cylindrical shape, and many of our top models have this lens type including the Anon M3 MFI. Its large, high-end lens is competitive in field of view and clarity with top options from Smith, Giro, and Oakley. Even with the recent shift towards cylindrical designs, many premium goggles are spherical, meaning the lens curves both horizontally and vertically. The curve is intended to mimic the shape of your eyeball to give a natural, superior field of view and optics. In use, we’ve found this to be largely true, although as mentioned above, the differences between lens types aren't as noticeable as they once were. Spherical lenses do give the goggle a taller profile with its bubble-like shape, and while it’s a matter of personal preference, we like the look most of the time when it’s paired with a ski helmet. A third shape that is gaining traction is the toric-style lens. This design splits the difference between cylindrical and spherical: it’s curved both vertically and horizontally to mimic the shape of the eye like a spherical lens, but is less pronounced and bulbous looking. The advantage of a toric lens is largely aesthetic, and it will appeal to folks that don’t like the bug-eye look of a spherical lens but still want the rounded shape. From an optical perspective, it’s becoming more and more difficult to parse out the differences, but it should perform similarly to a spherical lens by minimizing distortion at the edges. Top toric-shape goggles for the 2019 season fall on the premium end of the spectrum, including Anon’s M4 MFI and Giro’s Contact. Advancements in quick-change technology are exciting, but we prioritize optical quality above all else. It’s the reason we rank the Smith I/O ChromaPop at the top of our list even if it takes a little longer to swap from a low light to bright light lens. Smith’s ChromaPop is that good. It’s the best we’ve used for richness of color and contrast and we're happy to see the lens offerings have increased to include most styles in the Smith lineup. ChromaPop surely is not alone in high quality optics. Oakley’s premium competitor is their Prizm lens and it does a great job in making details stand out, although it can look a little more artificial than ChromaPop in certain tints (some are overly pink, for example). Giro turned to Zeiss, a proven camera lens manufacturer for help with their lenses, and we’ve been impressed with the clarity of the Vivid lens line including the Giro Axis. Anon and Dragon keep most of their lens development in-house and offer competitive detailing (Anon does partner with Zeiss for some top-end Sonar lenses), although in general they fall a little short in overall quality. It's important to note these upgraded lenses are most valuable in difficult lighting and aren't a necessary feature, but the difference is noticeable and can be worth the extra investment for the committed skier and snowboarder. Moving beyond families of lenses like Prizm, Vivid, or ChromaPop, there are specific lens technologies designed for harsh or variable conditions. For bright, sunny days, mirrored lenses work really well. The lens has a reflective coating on the outermost layer that softens the glare by allowing less light to enter. You’ll find mirrored lens options across the board designed for use in the brightest conditions. Another lens technology is polarized, which was originally intended for use on the water, but it also reduces eye fatigue on a bright day by blocking strong bursts of horizontal light. The technology doesn’t translate perfectly to snow when you may want to see the glare of an icy patch, and their biggest downside is cost—the Anon M3 Polarized is $290, which is $30 more than a Sonar option. The final technology is photochromic lenses, which adjust automatically to lighting conditions based on the intensity of light. This gives them a very wide VLT range (more on that below) and they are great if you don’t want to have to swap lenses. We prefer bringing two lenses, however, which allows us to better match a lens to the conditions, rather than trying to get an all-in-one solution. And it’s pretty clear based on the market that the momentum is behind quick-change systems, although there are some intriguing photochromic options from brands like Zeal Optics. VLT is the amount of light, measured from 0% to 100%, that is allowed to pass through a lens. In the brightest sun, you may want a lens with as little as 10% VLT. For night skiing, a “clear” goggle is around 90% VLT. There is some variation between manufacturers, but lenses generally are 15-40% VLT for bright to normal conditions, and 40-70% VLT for cloudy and snowy days. Other factors matter like polarization and lens color, but these are the general parameters. You’ll often see a product page for a popular snow goggle showing a huge range of lens color options. The choice comes down to 1) VLT; and 2) Your tint preference (i.e., how you want to see the ski world around you). At the low end of the VLT spectrum are blacks, grays, and blues, which are designed to block out the most light and therefore are the darkest. Toward the middle for partly cloudy days are purples, reds, and greens, which, as you can imagine, color how the snow and mountains look significantly. For overcast and gray days, you’ll find lenses that are much clearer than the first two categories and come in very light shades of yellow and blue. Nearly every goggle made has the option to change out the lenses, although the difficulty varies by manufacturer. The traditional process involved pulling (and sometimes tearing) the frame away from the old lens and sliding in the new one. Frameless lenses like Smith I/O series have become popular over the last few years, and a big emphasis has been placed on the ease of swapping out a lens. The leader in this technology is Anon. They utilize a magnetic system on their M-series goggles, which allows you to pull the lens away from the frame and snap a new lens into place without taking the goggles off your head. It’s amazingly simple (we’ve timed ourselves swapping out the Anon M3's lens in just 5 seconds) and the powerful magnets do a great job of keeping the lenses from falling out in all but the worst crashes. Giro and Smith have similar designs, although you’re required to push a button/lever to release the lenses, which we’ve found are slightly less convenient. Our least favorite quick change designs include the original Smith I/O models. Having to fit the lens into small slats at the nose bridge is a pain and adds time to the process. That being said, we can still get them swapped out in just over a minute. Interchangeable lenses are fantastic: they give you arguably more flexibility than photochromic lenses as long as you are willing to carry an extra lens in your pack or keep in your locker. Many gear sites sell interchangeable goggles with two lenses: one for sun and the other for cloudier conditions. You can really hone in your lens choices based on your location, and then easily swap out a low-VLT lens for a high-VLT lens or vice versa depending on the day and time of day. With the growth of large-frame goggles came a noticeable jump in field of view (also referred to as “field of vision”). Wide and tall lenses and thin or rimless frame designs don’t impede your view, enhancing peripheral vision and avoiding the tunnel-like feeling that was inherent with older goggles. More visibility makes for a safer day on the mountain, so we’re completely on board with this trend. Premium goggles offer the best fields of view, and a large-size frame like the Oakley Flight Deck Prizm is almost as good as not wearing a goggle at all. For smaller faces, Giro’s Expansion View technology (found on the Giro Axis and others) does a nice job of retaining good visibility with a low profile design and spherical or cylindrical lenses. If your goggles are all fogged up, it doesn’t really matter what kind of lenses you are using. To start, make sure you choose a double lens. These are much less prone to fogging up than a cheap single lens. 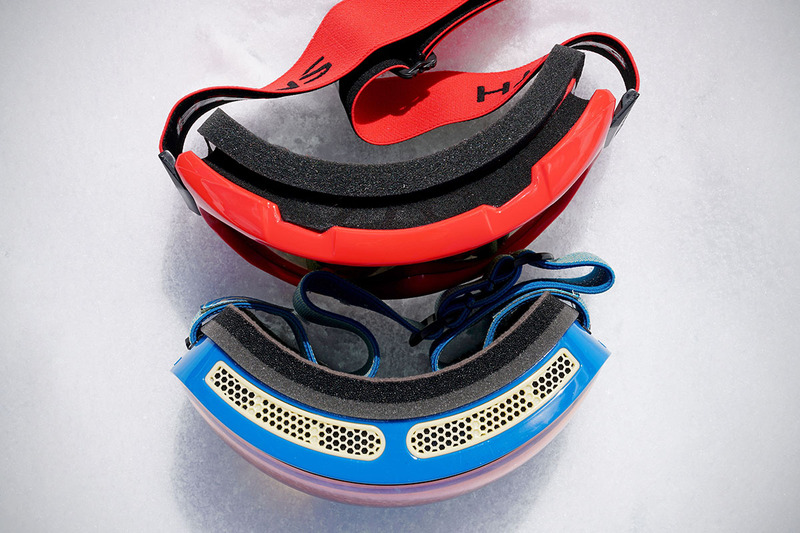 Ventilation comes from the sides, top, and bottom of snow goggles, and the more air that moves through, the less fogging will occur. The specific size and shape of the vents is goggle-specific, so make sure to inspect the pair that you are considering. If possible, try it on while wearing your ski helmet to ensure the latter doesn’t block your venting. Other tips to avoid fogging include not overdressing (this will cause your face and head to sweat more) and keeping your goggles on during your ski day. Moving goggles to your forehead will cause the heat and moisture emanating there to fog up. The majority of ski goggles have an anti-fog coating on the inside of the lenses. It’s important to avoid continuously wiping fog off the inside of your goggles as this can eventually degrade the treatment. 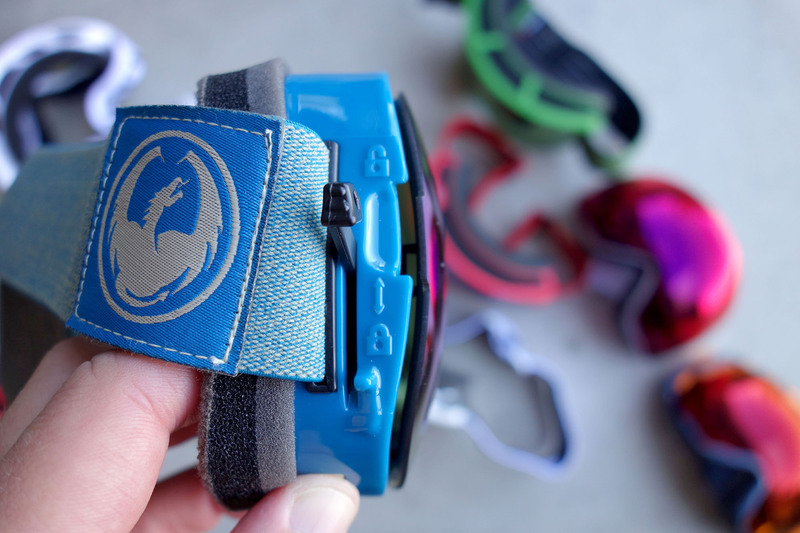 If you need to wipe them clean, make sure to use the included soft-sided carry case included with your goggles, because that material won’t scratch the lens. Air-drying is the best solution or you can bring an extra pair of goggles in your pack if you need them in a hurry. For those with persistent fogging issues, Smith has the Knowledge Turbo Fan with small electric fans to help keep you fog free. Most skiers don't need to go to such extreme lengths, but the technology is there for those who want it. Frameless or rimless goggles ditch the plastic around the edges of the lens on a traditional goggle, giving them a distinctive, oversized look. The most common argument in support of these designs is their improved field of vision. And a frameless goggle like the Oakley Flight Deck admittedly does have expansive views. However, the majority of the credit should be given to its large spherical lens and low profile design. Frameless goggles also can make it easier to remove the lenses, although again, the more important factor is its interchange technology. For example, the difference between the frameless Anon M2 and framed Anon M3 is basically nil—with the M3, the extra effort required is a slight twist to expose a corner of the lens from the frame. In the end, the disparities in performance between a framed and non-framed goggle are pretty negligible. Just pick the style you like best. As with many types of outdoor gear like ski helmets and backpacks, the quality of padding differs significantly on ski goggles and gets markedly better the more you spend. On basic models, the padding is simple single-layer foam that isn’t as comfortable around your face as pricier models and won’t fit as snug. It also will retain more smell and break down quicker. When the price tag gets to the $100 to $200 price range, you’ll find multi-layered foams and flexible plastic frames that are impressively contoured to the shape of the face. If you only plan on skiing a few weekends each year, going with a cheaper ski goggle is a perfectly rational choice. But those who spend a lot of time on the slopes will appreciate the comfort and fit of a higher-end goggle with superior padding. 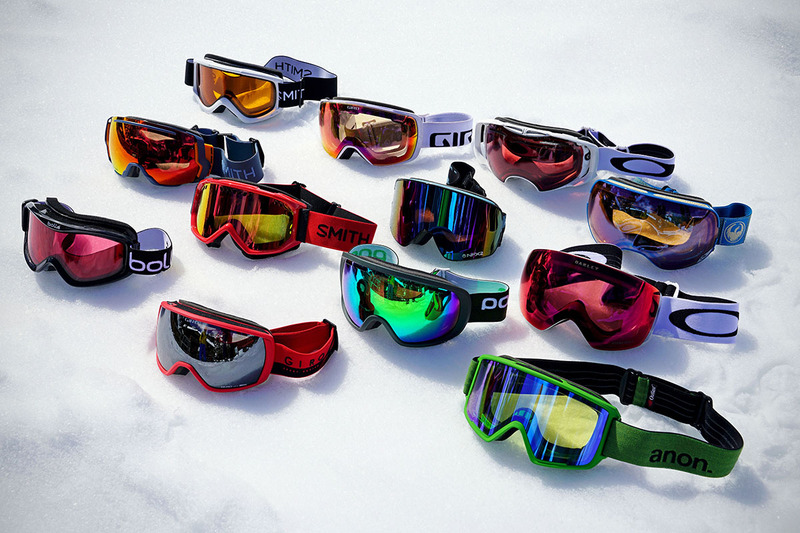 Sizing is one of the most important—and sometimes confusing—parts of the goggle buying process. 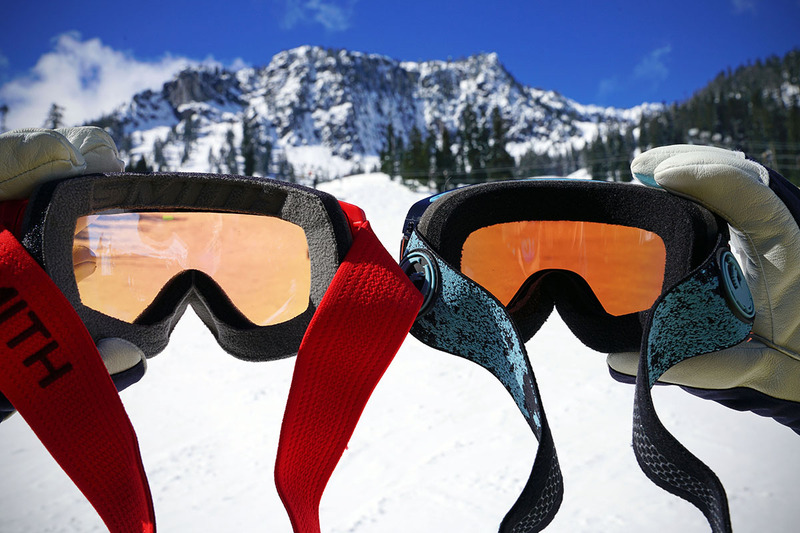 First and foremost, ski goggles come in three general sizes: small, medium, and large. 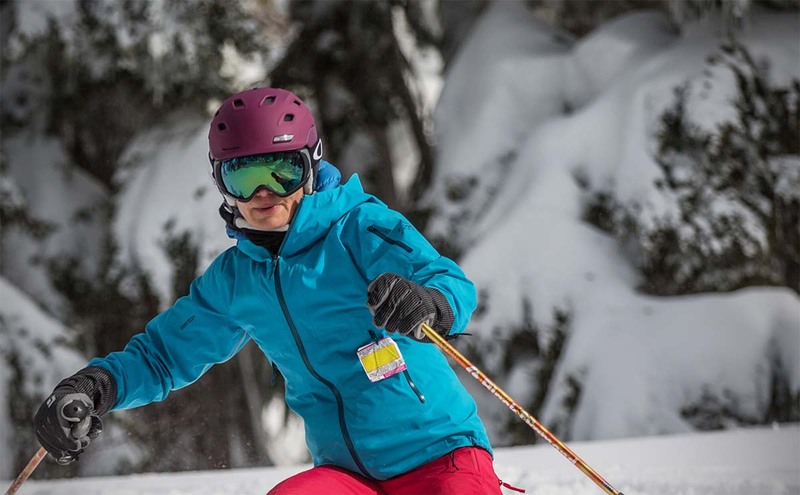 You will find some women’s-specific models in more “feminine” colorways and with a slightly narrower frame, but goggles really are a unisex piece of gear. When trying on a goggle, you want the fit to be snug but not tight enough to cause discomfort. Additionally, pay attention to your field of vision. A goggle that is too small will impact your vision side to side and up and down. Common pressure points are the nose and around the eyes, which can be relieved by making adjustments either with the sliding clip or buckle system around back. If the goggle still feels tight after loosening, it’s time to move up in size. As we cover below, trying goggles on with your ski helmet (or at least a similar ski helmet in the store) will give you the most accurate picture of how everything will feel on the mountain. We have good news for wearers of prescription glasses: there are a number of over the glasses (OTG) goggles on the market. OTG goggles are defined by the large opening between the lens and face to fit a pair of average-sized spectacles. The extra volume also creates enough space for air to flow to keep both your eyeglasses and the goggle lenses free from fog. Smith, Giro, Bolle, and others have models that are specifically designated as OTG (it’s often called out right in their name), but a number of large-framed goggles work just as well. From our list, the Oakley Flight Deck, Anon M3, Smith Knowledge Turbo Fan, Giro Blok, and the large Smith I/O X work well with most eyeglasses. If you’re in doubt about how a how a specific model might fit, it’s best to head to your local retailer and try on the goggles over your glasses. Better yet, bring your ski helmet too and test out the whole set-up. Finding a suitable helmet to pair with your ski goggles that doesn’t result in the dreaded gaper gap (a large opening between the goggle and helmet) or worse, doesn’t fit at all, used to be a challenge. Nowadays, most helmets and goggles work pretty well together. That being said, if you aren't able to try the goggles and helmets on before buying, it's safest to stick to a single brand (i.e. purchase both a Giro-brand helmet and goggle). One exception is tall, large-framed goggles like the Dragon X2 or Smith Squad XL. Those may require a helmet with an accommodating brim, such as the Giro Range MIPS. 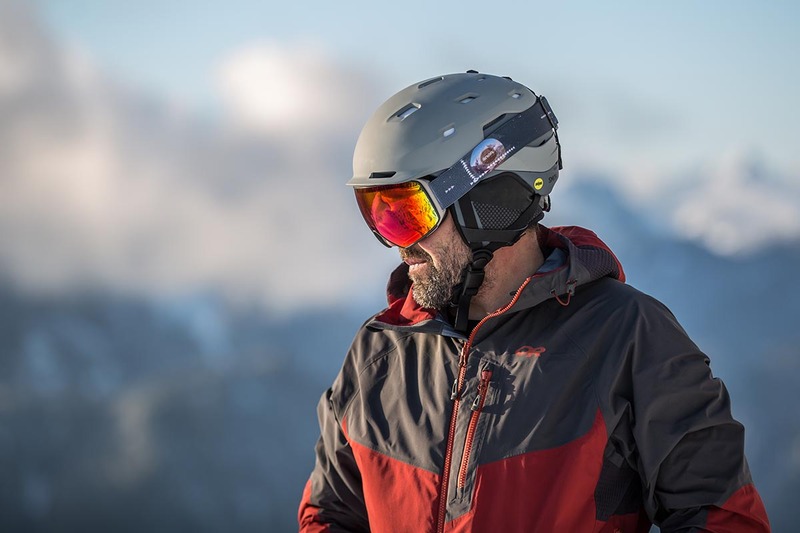 Overall, we’ve found that premium helmets are the most compatible with a wide range of goggle sizes, but keep an eye out for features like a baseball hat-like bill that could interfere with the goggles. The large, angled brim on the Bern Watts is one of the worst offenders and limits its compatibility to mostly medium-sized goggles. And if you’re somehow still not wearing a helmet, it’s time to change that: check out our article on the best ski helmets.